This is the Spanish language version of Elle magazine, covering fashion, heath, beauty and entertainment. It is popular among designers, and people working in the world of people and also people aspiring to have a good career in the same field. 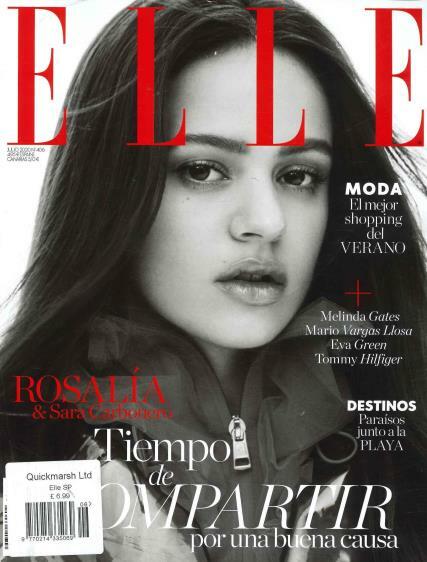 Elle Spanish magazine does not only give the fashion tips to the aspiring models and designers wanting to make it big in the field but also gives the news in the field to the common people. The magazine gives important information about health and entertainment too. This is also useful to the readers. The information furnished by Elle Spanish magazine is useful to all its readers and this makes it so popular. It talks about the health and care of the people and provides important steps to look into it better. It also talks about the developments in the field of entertainment and provides suggestions to the people who desire to be a part of the world of entertainment in the world of media. Hence, it is so popular in the country and around the world.